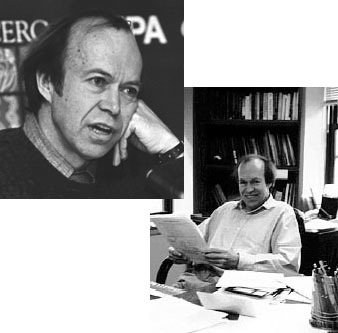 James Hansen at a 1995 panel discussion and in his New York office. Upper photo by Joe Pineiro, Columbia University Record, 19 Jan. 1996. Lower courtesy J. Hansen - NASA.